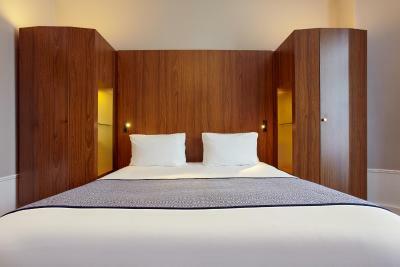 Lock in a great price for Holiday Inn Paris Gare de Lyon Bastille – rated 8.5 by recent guests! Nicholas at the front desk was extremely helpful with giving us different ways of getting to the airport. A female staff only suggested taxi to airport. The room and interior design of the hotel is exquisite! The staff is very accommodating and the location of the hotel is the absolute best! The hotel is near the metro, near many restaurants, and near a popular street where a taxi can easily be hailed. Also there is a bakery and supermarket across the street which is a must try! Also the hotel bar has great drinks! Hands down the best Holiday Inn I have ever visited. I will most definitely return! Quiet and comfortable, modern and clean. Exactly what we like! Super convenient for arriving from the Gare de Lyon. I enjoyed the breakfast buffet. The female staff at the front desk were great. The Male staff not so. The Male staff in the breakfast buffet area were great. The staff were phenomenal, very courteous and friendly. The location was a block away from the train station and close to the underground, and great bus service-you could get around very easily. Lots of restaurants close by and great variety. We used the bus to get to better French restaurants in the St. Germain area-easy. Our room/bathroom were spotless and well maintained and we couldn't ask for a quieter room. The property was near a central transportation hub and I was able to get to most of the cities sites with ease. The neighborhood was good and had a lot of places to eat. The location is absolutely wonderful with the metro, rail and bus links at very close proximity to travel anywhere around Paris. Also, various options of restaurants located nearby (Turkish, European, etc). Also, the staff is wonderful and helpful. The air conditioning is great too! Wow. This hotel was great. Nice staff. Nice rooms. Everything worked perfectly. And the view from the room was great! Holiday Inn Paris Gare de Lyon Bastille is ideally located in the center, 850 feet from Gare de Lyon Train Station. It features stylish air-conditioned accommodations with flat-screen satellite TV. 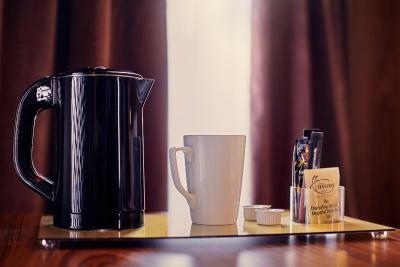 The rooms and suite at the Holiday Inn Paris Gare de Lyon Bastille are all equipped with a mini-bar, desk and telephone. The private bathrooms feature a hairdryer and a bathtub. 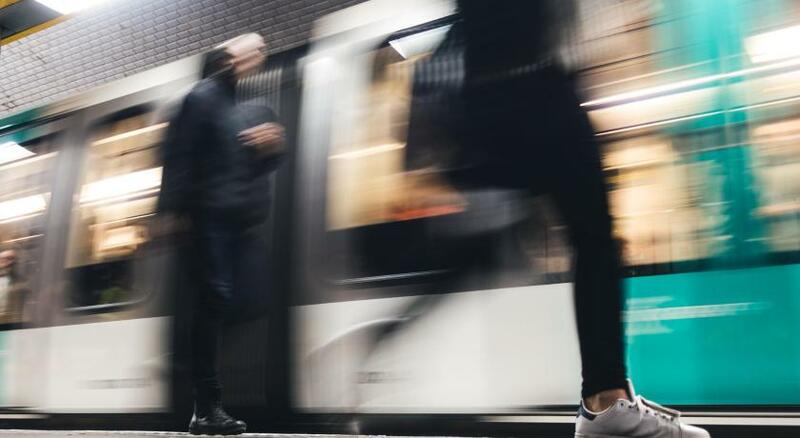 Gare de Lyon Metro and RER Station provide direct access to Disneyland, the Champs Elysées, the Louver Museum and La Defense business district. This hotel is 2,300 feet from the trendy district of Bastille and a 15-minute walk from AccorHotels Arena. 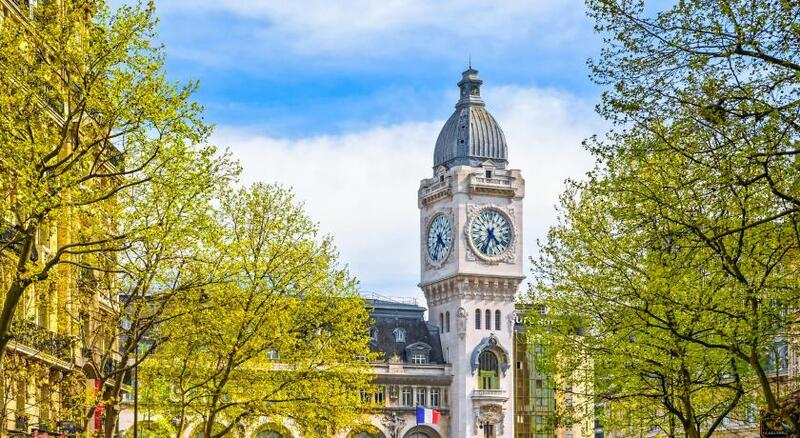 When would you like to stay at Holiday Inn Paris Gare de Lyon Bastille? This air-conditioned room includes a flat-screen TV with satellite channels, a mini-bar and a private bathroom with a bathtub. It features bold colors. Please note that your bedding preference must be confirmed by the property. Public parking is available at a location nearby (reservation is not possible) and costs EUR 34 per day. The more stylish executive room provides an elegant living space. Extras in these rooms include a Nespresso coffee machine. An extra bed for a third person is possible in this room at an extra cost of EUR 40 per night. This air-conditioned room includes a flat-screen TV with satellite channels, a minibar and a private bathroom with a bathtub. It features bold colors. This spacious, air-conditioned room includes a flat-screen TV with satellite channels, a minibar and a private bathroom with a bathtub. It features bold colors. The Holiday Inn Paris Gare de Lyon Bastille is situated in front of the TGV Gare de Lyon train station and 20 minutes by taxi from the airports of Paris Orly and Paris Roissy Charles de Gaulle . The hotel is located a few steps away from Bercy Arena and 15 minutes away by public transport from the business district of La Defense. House Rules Holiday Inn Paris Gare de Lyon Bastille takes special requests – add in the next step! Holiday Inn Paris Gare de Lyon Bastille accepts these cards and reserves the right to temporarily hold an amount prior to arrival. It should be possible to access the hotel with e.g. the room card. Leaving hotel customers, standing in front of the entrance door and waiting that the receptionists open the door, while they are busy with new customers (check-in and Information), should be avoided. - I liked the opportunity and the discount to park in an other hotel’s car park. - The friendliness of all hotel staff was very appreciated. - The location is an incredible asset, including the small Carrefour market around the corner, all brasseries and nice restaurants. No travel desk, restaurant at the hotel. Drinking water not provided complimentary. The facilities can be improved. For example, the wardrobe needs to be extended, as there is no sufficient place to hang clothes! There are no some necessary conveniences in a room, e.g. it would be useful to set a coatrack in the room's hall and to screw a soap box in the shower. The hotel has a lot of advantages: friendly, helpful staff; rich breakfast, ideal cleanliness, convenient location etc. I stayed here many times. Breakfast was delicious, better than I would have expected. Location was good, and staff were helpful when we asked for directions on where we wanted to go. The room we stayed in had been newly renovated so was a very pleasant surprise! The services, the room, the breakfast and the position was excellent! I asked for a room that didn't have an adjoining room but got one anyway BUT I was offered another room in its place. In the end. I kept the original room and was satisfied. It was a very quiet room until I heard the people next door at about 7:15 A.M. MY fault for not changing rooms!!!!!! But I was ready to get up at this point so no big deal. The breakfast was fantastic. A lot of variety and the staff were very helpful yet stayed out of your way. I liked that. The beds were very comfortable and the people at the front desk were very helpful and courteous.